Among the 253 fishes documented to frequent the Salish Sea in some capacity, the 28 species of rockfish, while not ignored by any means, tend to play second fiddle to a certain more regionally famous family, the Pacific salmon. But if the slow-growing, long-lived Sebastes are not as well or widely known as the live-comparatively-fast, die-comparatively-young Oncorhynchus, their straits are in many ways just as dire. Consider: According to the most recent estimate from NOAA Fisheries, total rockfish abundance in Puget Sound has declined by about 70% since the 1960s. Unlike most Puget Sound salmon, which migrate to and from the Pacific, rockfish stay put making them especially vulnerable to local changes. But the fates of salmon and rockfish are entangled. It was when the commercial salmon fishery in Puget Sound started to wither in the 1970s that commercial and recreational fishers lowered their attentions much deeper in the water column. There they discovered a wide range of fat, colorful fish swimming among the rocky reefs and kelp forests several hundred feet deep. These fish were fairly easy to catch. The biggest ones might be up to three feet long and weigh more than 25 pounds, and their flesh was tasty. Thus was initiated a period of pronounced overexploitation, with predictable consequences. The main problem for rockfish was that, since they can live over one hundred years, most breed later in life, so heavy fishing disrupted certain species’ age structure. Rockfish populations also have low intrinsic rates of growth. Their young do not recruit with any annual consistently, but rather survive in pulses, showing up en masse in what is called episodic recruitment. It was for these reasons that the first fisheries ban on rockfish came in the late 1980s. It was not enough to stay the genus’ decline, and some biologists believed more concerted action was needed. In 1999, Sam Wright, a biologist with the Washington Department of Fish and Wildlife, submitted a petition to have 14 species of rockfish listed under the Endangered Species Act. 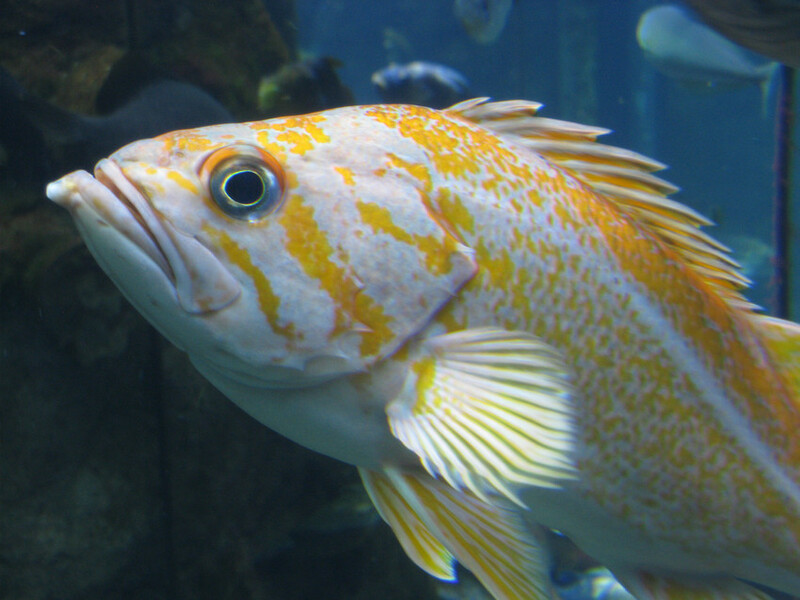 (The state of Washington currently lists thirteen rockfish as species of concern and has prohibited fishing for them in Puget Sound since 2010.) His petition was rejected due to insufficient information (although biologists with NOAA Fisheries said seven species warranted further attention). In September of 2006, he tried again, submitting a petition this time to list only the copper rockfish and quillback rockfish. This petition was also rejected. He submitted a third petition for five rockfish species a few months later, only to have that be rejected as well. Finally, in 2009, NOAA Fisheries proposed to list three species—the yellow and canary rockfish, and the bocaccio—as either federally threatened or endangered, and in 2010, all three species received protections. Respecting rockfish for scientists from local, state, and federal agencies has meant not only protecting them, but also learning more about them in some very basic ways. The Washington Department of Fish and Wildlife has been surveying for rockfish throughout Puget Sound, Hood Canal, the Strait of Juan de Fuca, and the Georgia Basin since 1987, and in 2004 began to use remote operated vehicles (ROVs) that creep across the fishes’ preferred habitats in search of adults and juveniles. A similar project run by biologists with the Seattle Aquarium began in 2005. These efforts track not only the diversity of species and their abundance, but also the age structure of different populations. But the listing’s most significant development has been the initiation of more intensive efforts to confirm the genetic distinctiveness of the threatened species, since all three are found not only in Puget Sound, but on the outer coast of Washington as well. (And, indeed, much farther; the yelloweye rockfish, for example, ranges from Prince William Sound, Alaska down to Baja California; the canary rockfish and bocaccio are similarly widespread.) The listing, however, was contingent upon those fish in Puget Sound being Distinct Population Segments. In 2009 and 2010, when the ESA petition was being considered, little of this sort of genetic information was available, although work on other rockfish had found clear distinctions between populations in Puget Sound and those on the outer coast. What biologists with NOAA Fisheries needed was samples from the threatened rockfish. To get them, they worked with the recreational fishing community. Where are you catching rockfish? biologists would ask. And where were you catching rockfish before? Fishers were thus able to show where some of the most productive sites were. “Lo and behold, there were rockfish,” says Kelly Andrews, a researcher with NOAA Fisheries. Yelloweye, canary, bocaccio—Andrews and his colleagues were able to catch some of each, take fin clips before releasing them, and run genetic analyses. True, there is a certain self-interest in the captains’ tip, Andrews notes. If what they say is true, and changing bait really is some kind of silver bullet, then maybe the prohibition on fishing deeper than 120 feet could be eased, since the risk of catching listed species would be lessened. But he certainly doesn’t blame them for trying. Many of them liked catching rockfish before, and it would be nice if the species recovered enough so they could be caught again.